We looked at the top 1 Wheelchairs and dug through the reviews from 2 of the most popular review sites including Chair Institute, Help And Wellness and more. Through this analysis, we've determined the best Wheelchair you should buy. For those on the go, the NOVA Lightweight Transport Chair is a popular choice. Its design makes it easy to fold it up and store away. The braking system is designed to function whether the chair is being controlled by the passenger or pushed by a caregiver. A smooth riding experience and feather-touch handbrakes make navigating a breeze. In our analysis of 39 expert reviews, the NOVA NOVA Lightweight Transport Chair placed 2nd when we looked at the top 7 products in the category. For the full ranking, see below. This chair is very easy to push yourself or someone else in, and it provides a very smooth ride. Angle the seat and seat back. Doing this would make it even more versatile when used in an outdoor setting, especially on slopes. With the chair weighing almost 30 pounds, some people found it a little tough to lift easily. 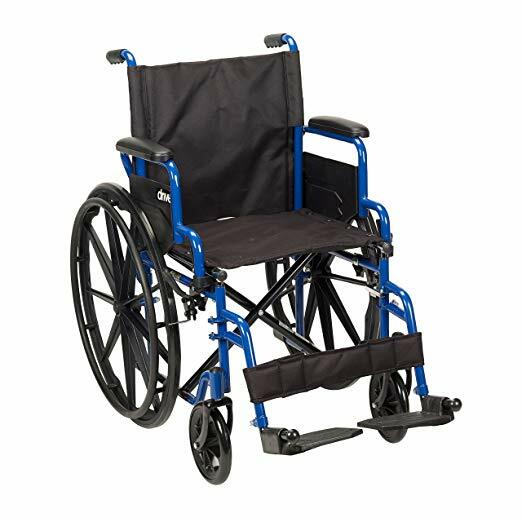 Our NOVA 352R, 19" Transport Chair is designed to provide easy, lightweight patient transport. 12" rear wheels provide a more comfortable ride. The comfortable padded upholstery and arm pads are reinforced to prevent stretching or ripping.